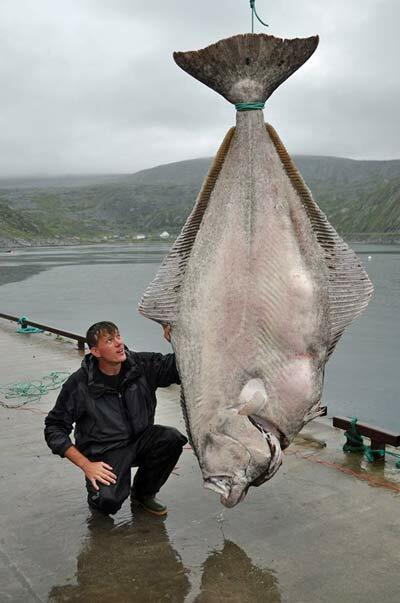 Halibut are the largest of the flat fish. 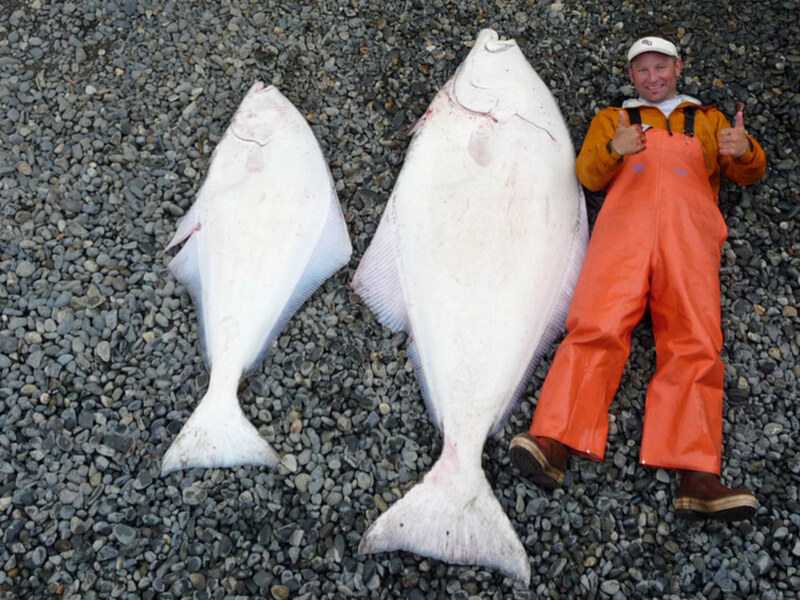 Some halibut can exceed 400 lbs, including the state record which is amazingly 459 lbs and was caught in 1996 in Unalaska Bay. 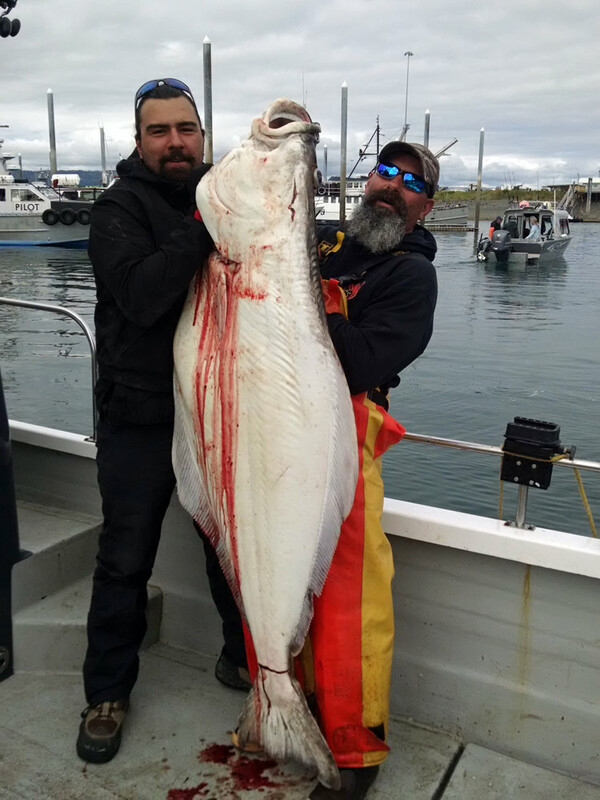 On our Alaska Halibut fishing charters you will be transported into the rich Alaska marine environment where these big fish thrive. 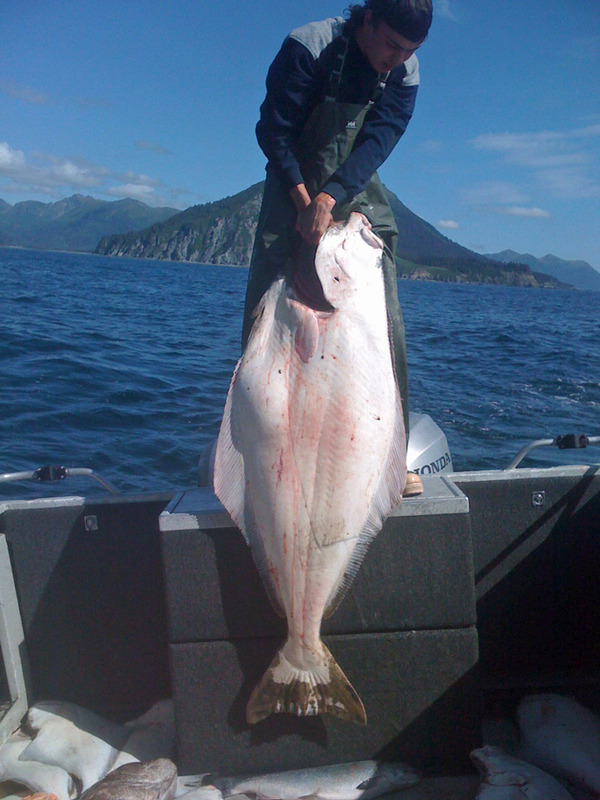 Female Halibut grow faster & are typically larger then males of the same age. Males rarely reach 100 lbs. The age of a Halibut is estimated by counting growth rings laid down in the fishes “otolith”, a bony structure in the inner ear. Halibut have both eyes on the upper dark side, as for their underside it tends to blend well with the sky when viewed from below. Their color helps them avoid detection from prey & predators. 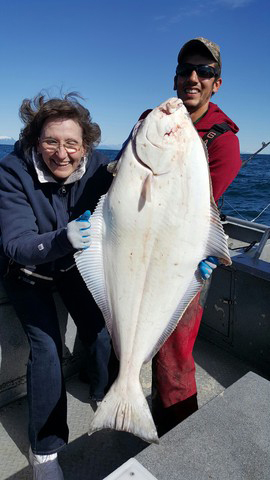 Halibut can be found throughout most of the marine waters of Alaska, as far north as Nome, along the Aleutian chain, and throughout the waters of the southeastern Panhandle. 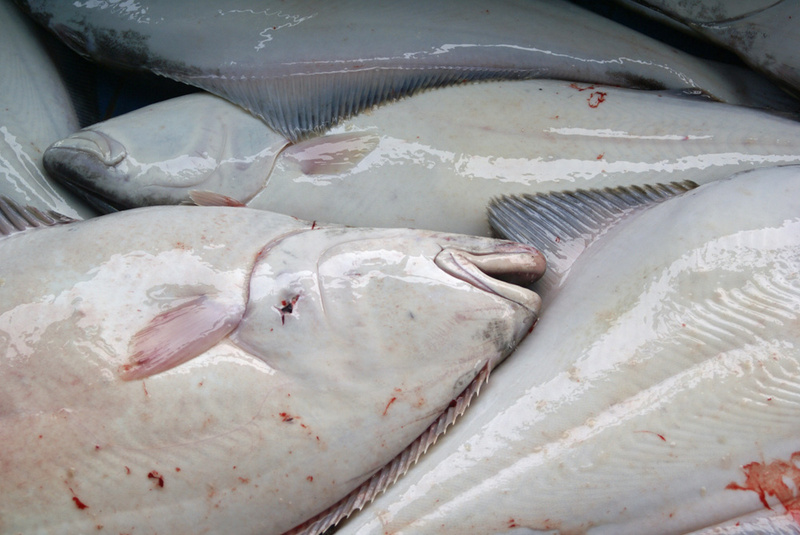 Halibut are usually on or near the bottom over mud, sand, or gravel banks. 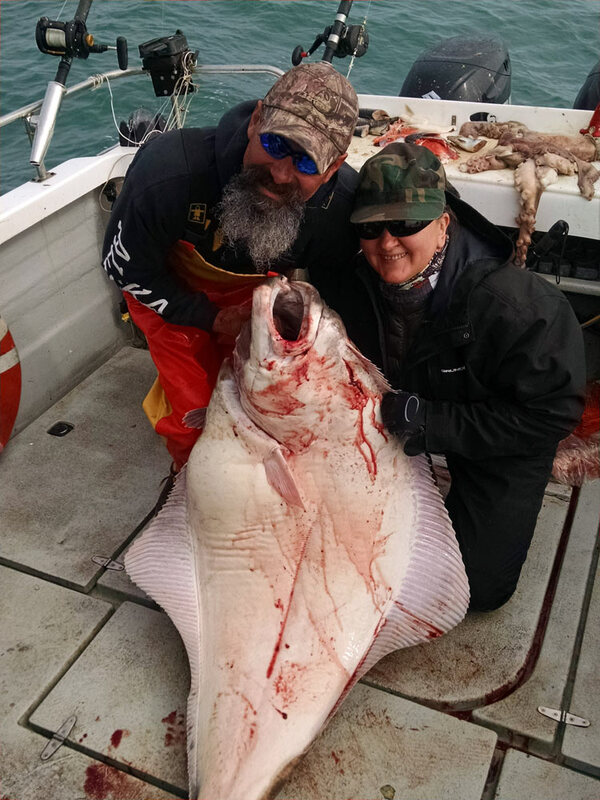 Most caught on our Alaska Halibut fishing charters are caught in depths of 90 to 900 feet, but halibut has been recorded at depths of 3,600 feet. 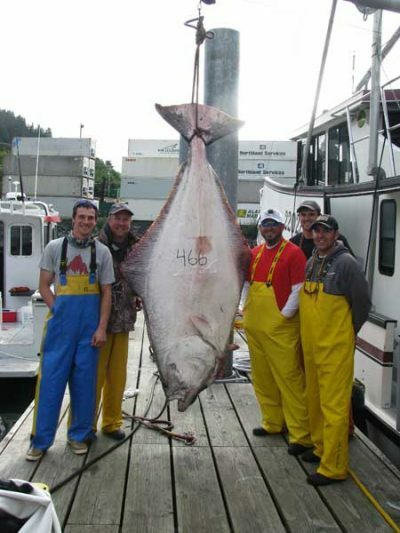 Halibut fishing in Alaska is very popular. It is an experience you will never forget. Imagine having a 250lb. angry Halibut on the other end of the line with massive swimming powers. You might feel like your arms are gonna fall off when you pull this “Dinosaur” out of the sea, but this will be the story of a lifetime. 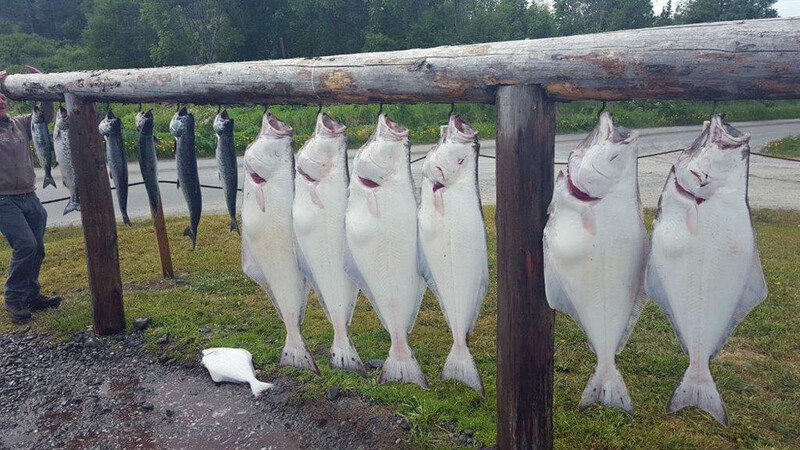 Success rates vary widely from vessel to vessel and day to day, but good catches are made from mid-May through mid-September throughout Alaska. Many believe the best fishing is just before, during, and after high slack tide. Now that you know a little about these Barn Door size fish you have to ask yourself when can I test my ability to fight one of these Monsters? 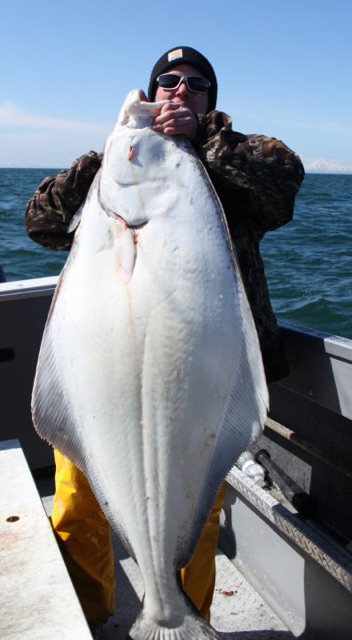 Now that you want to fish for halibut you have to ask yourself or group another question; do we want to fish for just halibut or do we want to fish a combo for kings and halibut or should we upgrade to a multi-species charter? 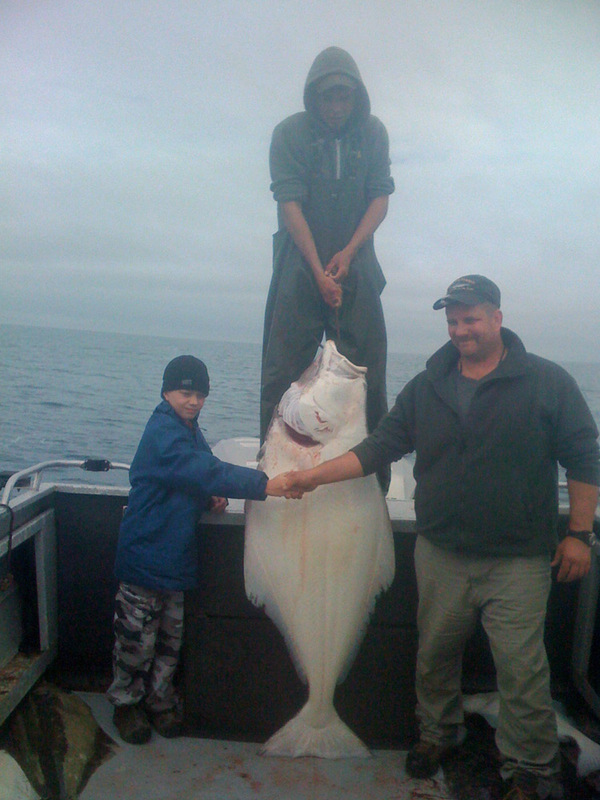 When you book a straight halibut we will have you meet in Ninilchik at Deep Creek beach boat launch. Once there you will get in boat then the tractors will launch you in the surf then you will head out to the captains hot halibut numbers. 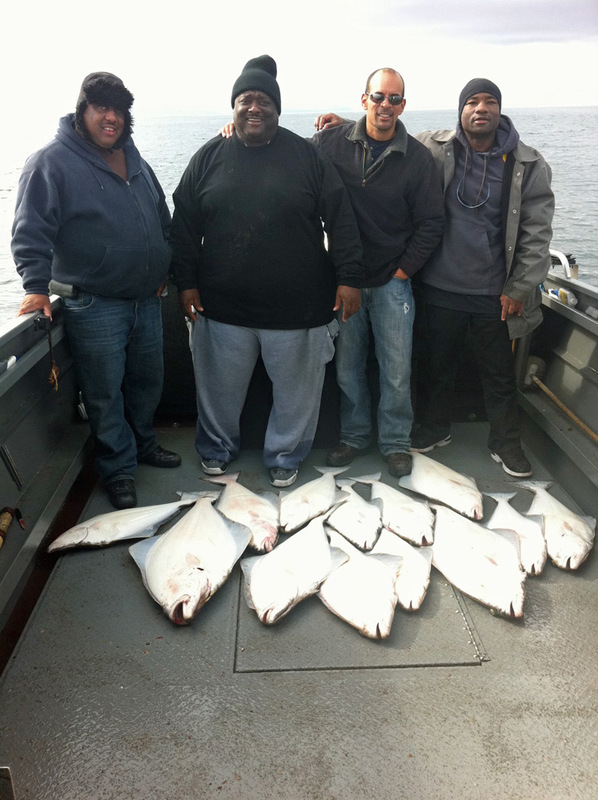 Once all guest catch their two halibut one over and one over. Then after taking pictures will head back to clean fish. 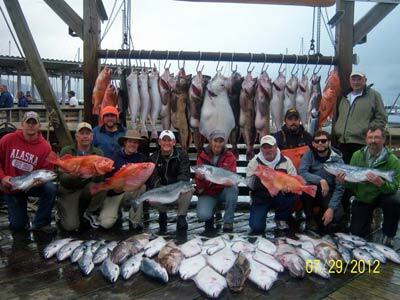 Alaska Salmon & Halibut Fishing Combo Trips – Now for a couple dollars more you can get mouthwatering fresh Alaska salmon and halibut in one fun filled fishing trip. 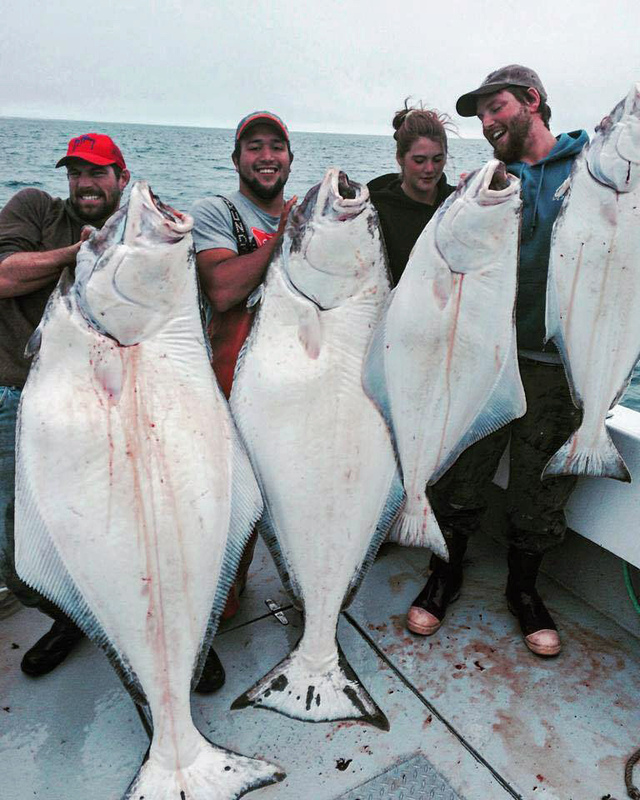 That’s right, you can combine the world class Alaskan salmon fishing with the heart pounding action of barn door halibut fishing in one trip. 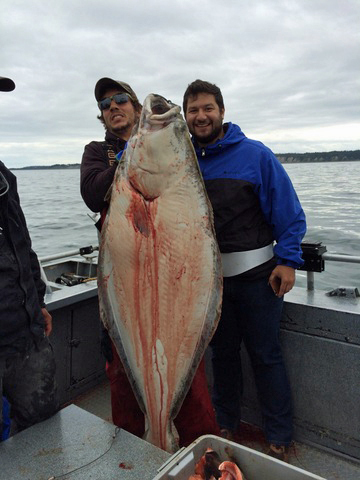 Call today and ask about the Combo Salmon & Halibut Fishing Trips and see how affordable the combination can be when booked as a package deal. These trips will go out of Anchor Point or out of Homer and are full day trips. Now that’s what we’re talking about filling the freezer. I have heard many times over the last 25 years a guest telling their better half to go out and buy another freezer because how much fish they have to take home for the week. So if you would like to take home a verity of fish you will want to add a multi species to your package. 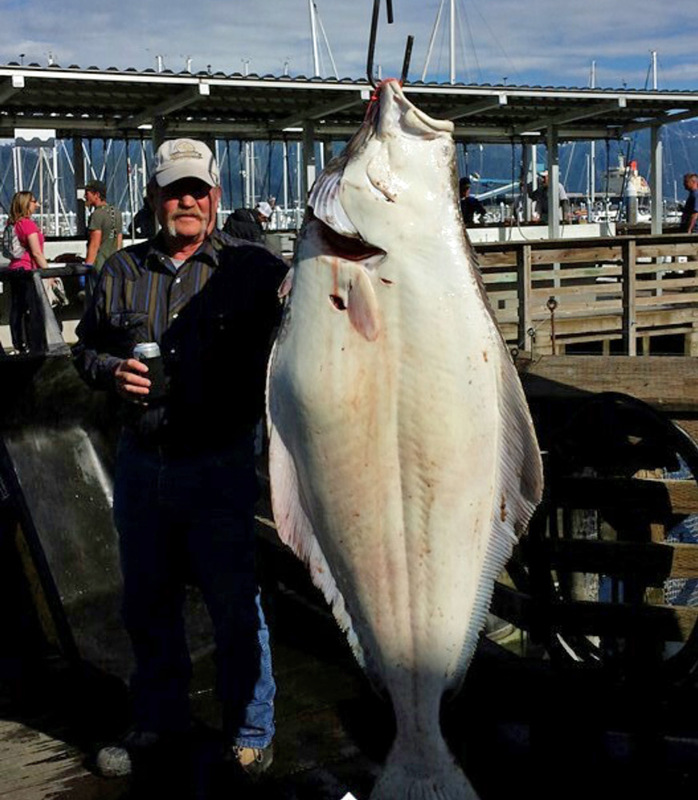 On these charters you may have a chance to catch halibut, silvers, rockfish and maybe a lingcod. 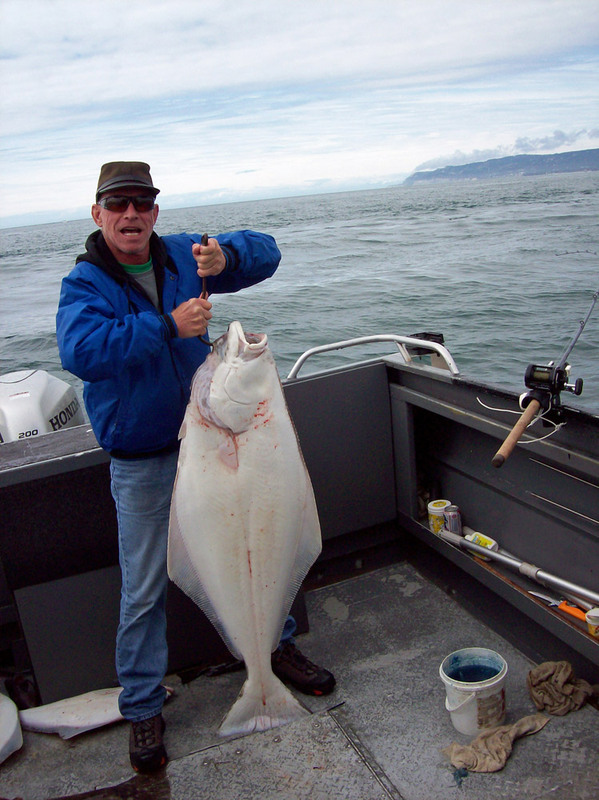 The best time of the year for Alaska halibut fishing charters is typically in the months of June, July and August. 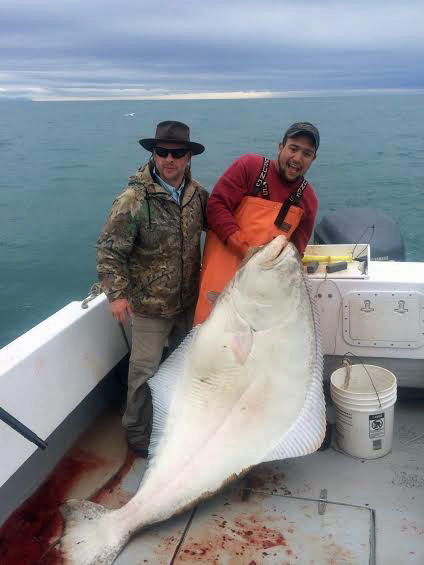 Years of experience has us believing that each of these three months holds something special in the way of Halibut fishing in Alaska’s Kenai Peninsula. Let’s take a look at the months of June, July and August to see what each holds and why so many anglers prefer these times over May and September. 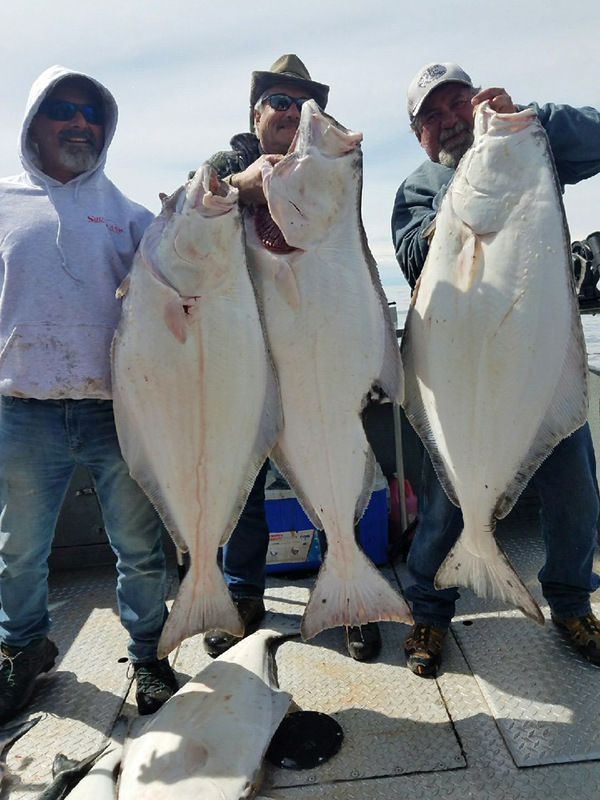 Halibut fishing in May is often a bit cool for some as the summer temperatures are not yet what one would call heating up yet. Actually, by later in May the temperatures are getting warmer and the fishing can start to get hot too. 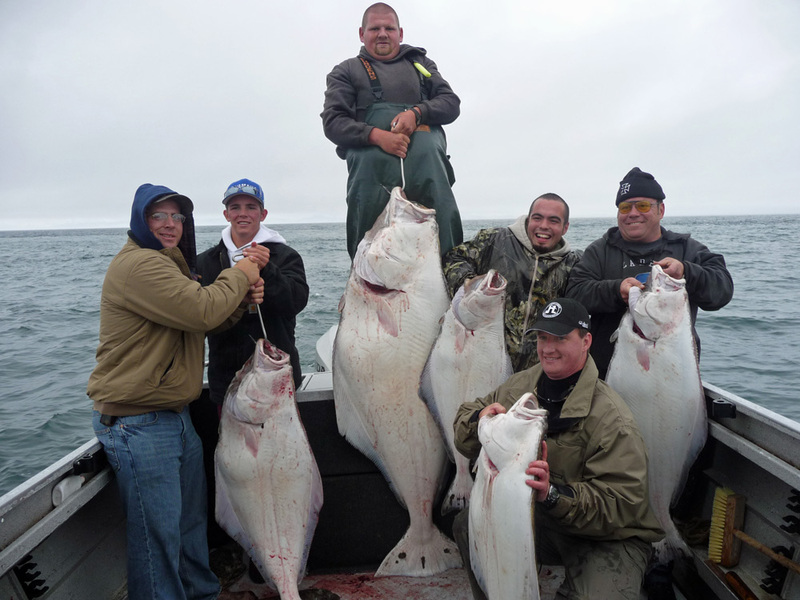 June is considered by many as the best month for Alaska halibut fishing because of the great weather and shallower waters that much of the fishing takes place in. Big fish are moving up the inlet in good numbers and the fishing is pretty hot when you find a good calm day on the water. 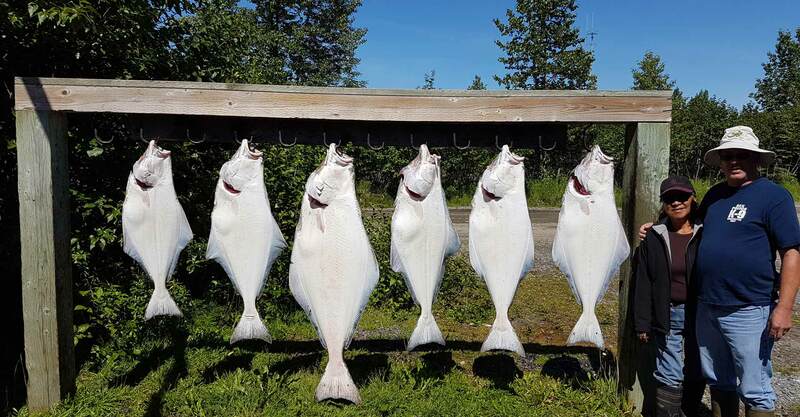 July is many times referred to as the best month for halibut fishing in Alaska as the fish move in closer to the mouths of the rivers to feed. 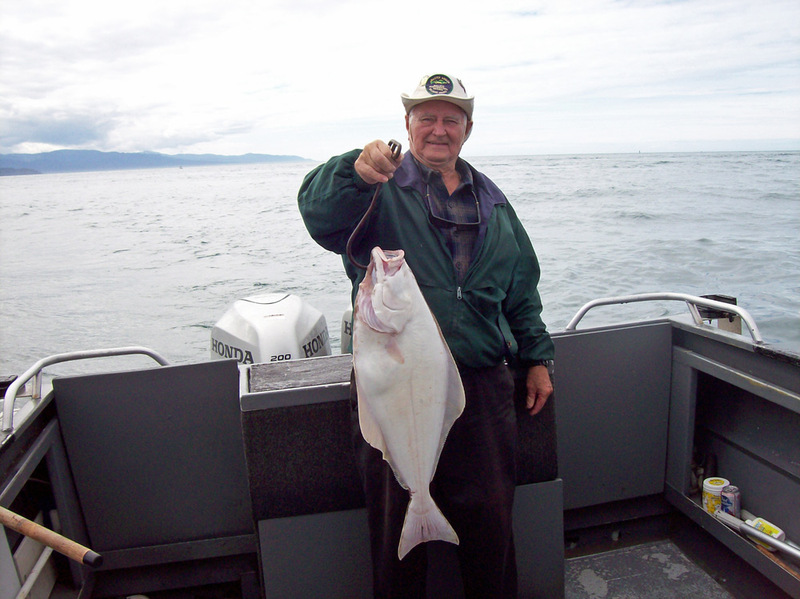 In July you can often catch halibut in as little as 20 feet of water but most fishing takes place in 80 to 90 foot depths. 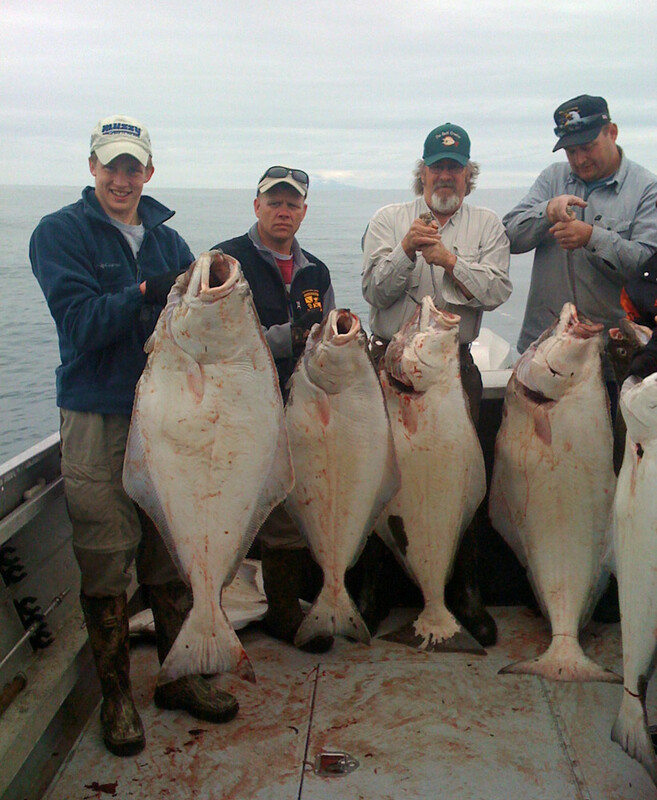 July 1st is also the opener for Lingcod and other rockfish including red snapper. 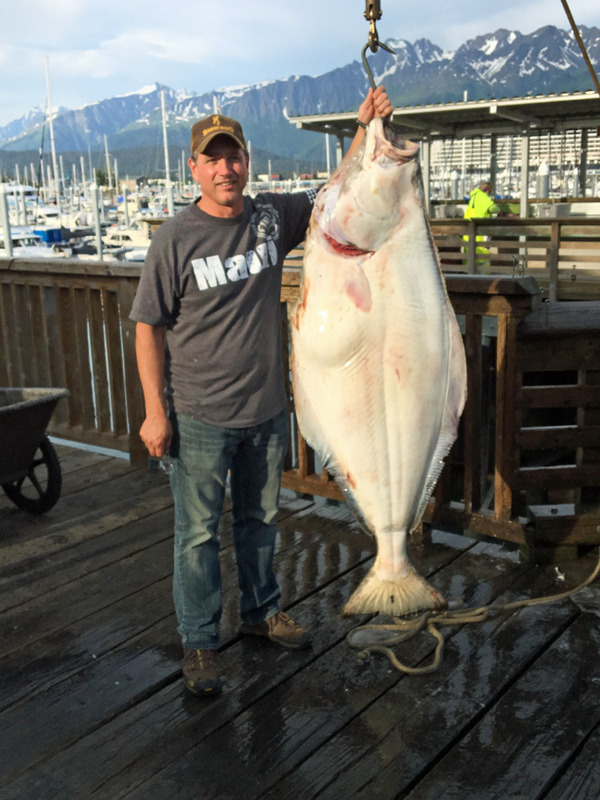 August can also make a claim as being one of the best months for Alaska halibut fishing in many areas. Summer temperatures typically are still pretty nice but there can be more windy days as the month progresses. 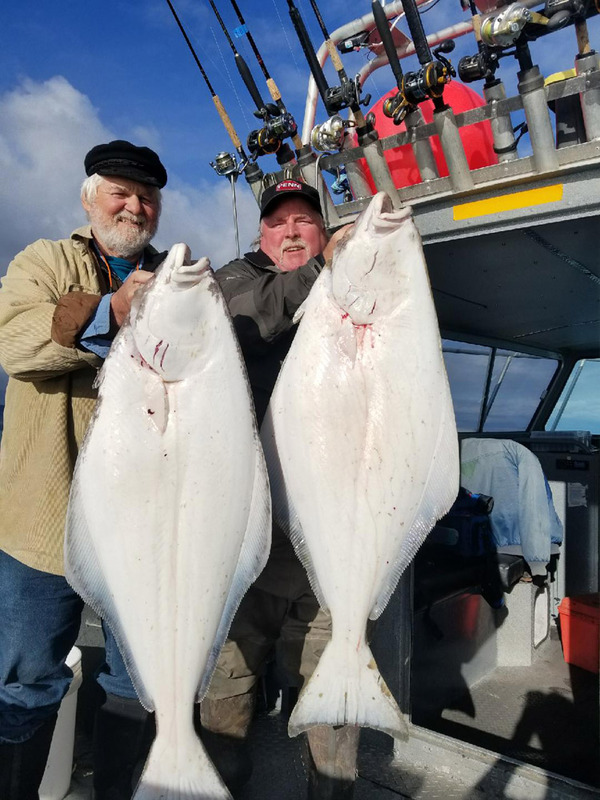 Some very big halibut are caught every year on our Alaska Halibut fishing charters during the month of August and every charter boat in the fleet is running at full tilt trying to keep up with the demand for fishing trips all month long. 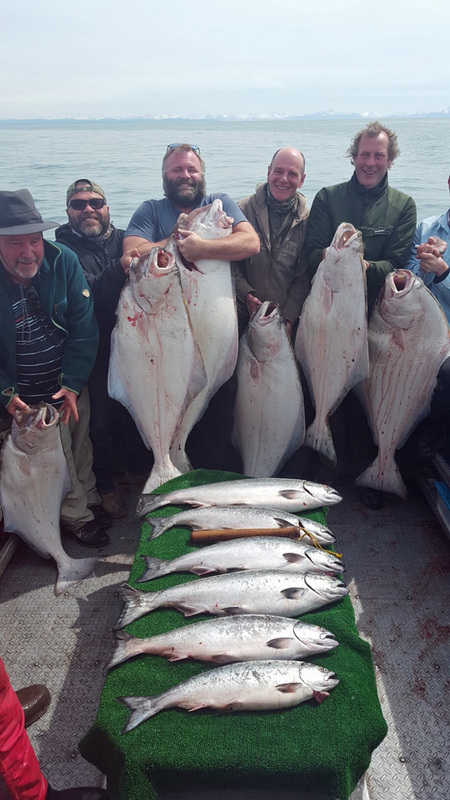 Also, the waters where we fish are at their warmest in Late July and August making for some active halibut feeding translating to some very good halibut fishing. Now were getting towards the end of the season and many local anglers are beginning to think about hunting season as the leaves turn to their golden yellow. But there are still plenty of fish to be caught and many hardy anglers are still in hot pursuit of their barn door butts to complete the summer in style. 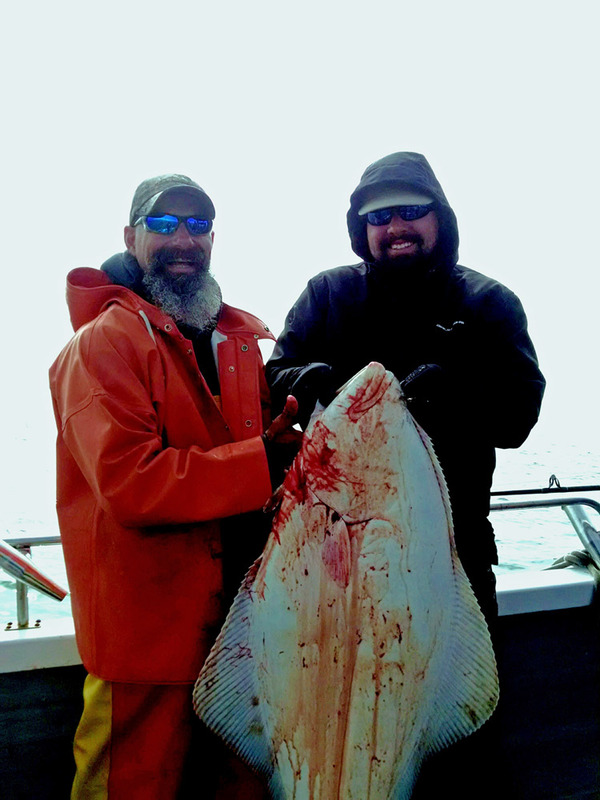 Call today and lets talk Alaska halibut fishing!